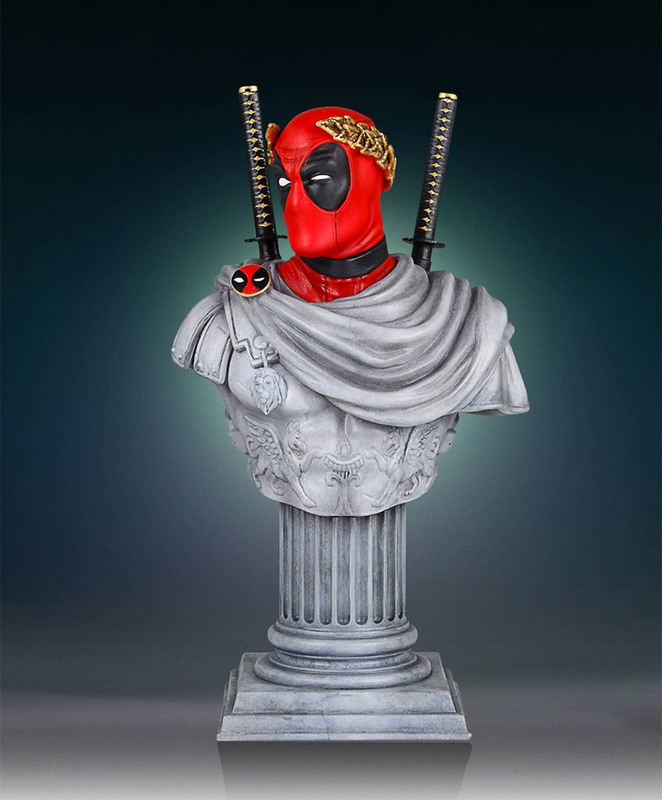 Looking for something to go along with your marble columns? 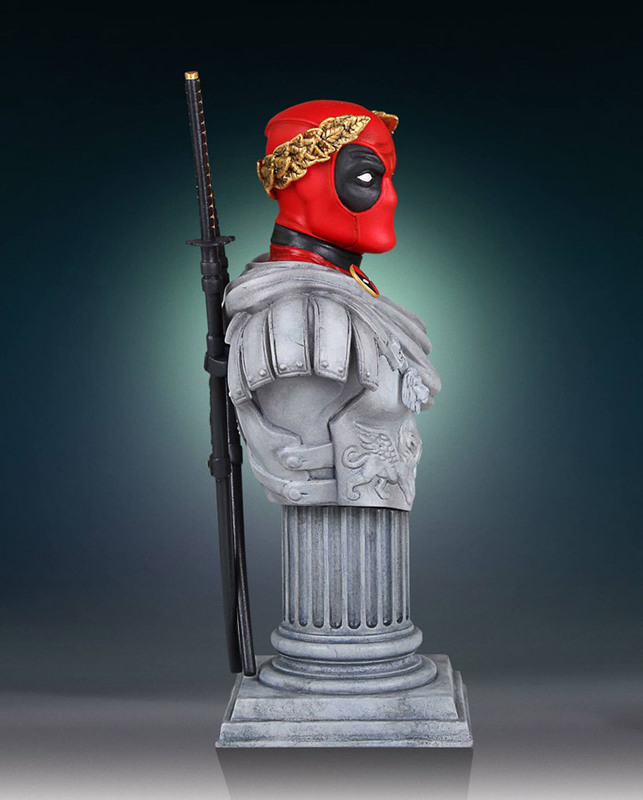 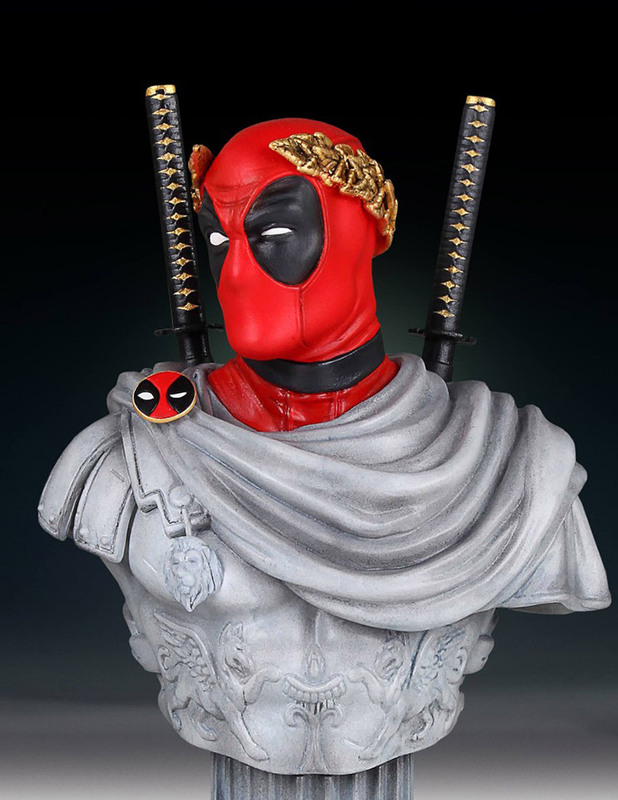 Class up the joint with this 7″ tall mini-bust of the Merc with a Mouth, donning a Romanesque robe, and wearing a gilded laurel wreath in his hair. 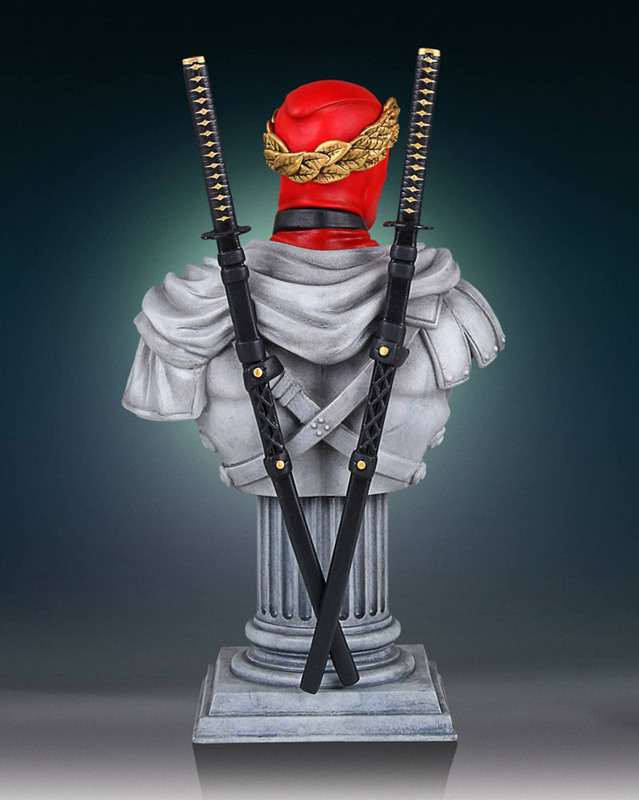 Brutus wouldn’t dare try anything with those katanas in place.